Mekong Golf Club, former Lao Inter Golf Club, opened in 2012 located about 12 kilometers, as the crow flies, northwest of the Wattay Airport in Vientiane, adjacent to the Tadmoon Waterfall. It is maturing nicely and it is a pleasant playing experience with some wide fairways and few water hazards to worry about. One hazard that you may have to worry about is the green that, similar to the 6th hole at The Riviera CC in Los Angeles, has a sand trap right in the middle of it. Some of the fairway landing areas narrow in a bit, and most of the fairways are lined with thickets of natural vegetation and hundreds of indigenous trees. Bunkers are prevalent protecting the greens and in key locations in some of the landing areas. The grasses have flourished under the care and expertise of the greens-keeper and the condition of the tees and greens is what you’d expect at a considerably more expensive, upscale resort in California, like La Quinta. The clubhouse is clean and accommodating in every regard with attentive staff administering all of the amenities. 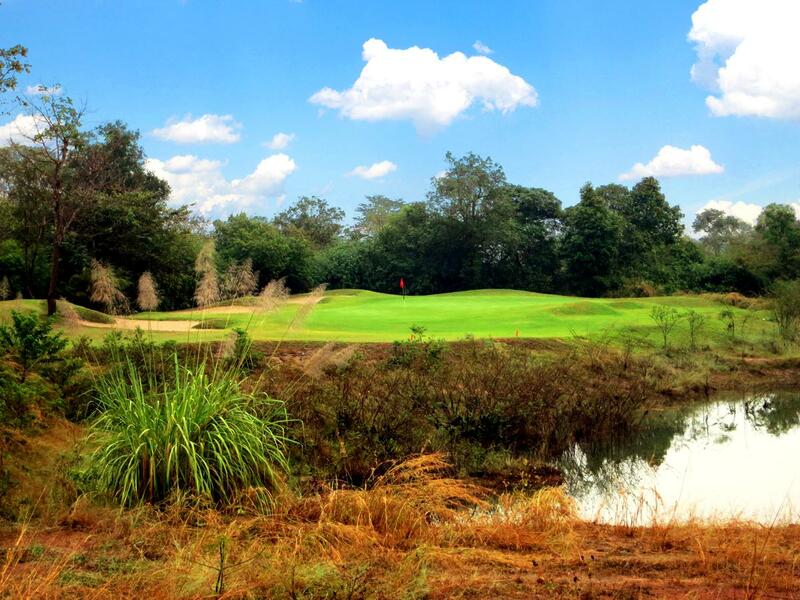 The reviews continue to rank quite high for this latest addition to the Vientiane Mekong Golf & Resort mix with enthusiastic comments about the 680 yard par 6 that is unique for the region. They have rental clubs available inexpensively and the caddies are well trained and eager to assist international guests. 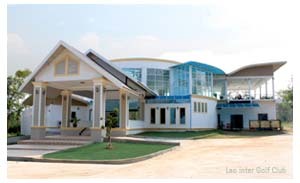 There are sure to be questions so please contact one of our friendly Mekong Golf & Resort booking professionals for answers and assistance in planning and booking this unique golf experience.